We have now returned home to Sydney after 5 weeks away. 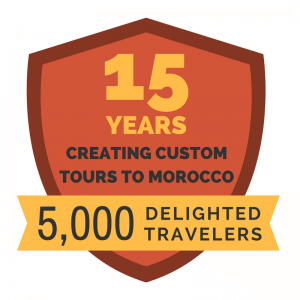 We would like to thank everybody at Experience it for their assistance with the planning and organizational arrangements for our visit to Morocco. Everything went perfectly from the moment we arrived at the airport and met our driver Rostom and over the next 14 days till we said goodbye to him when he dropped us back at the airport. The whole trip was fabulous. We particularly enjoyed our stay in Chefchaouen and our tour of the medina with Abdeslam Mouden. 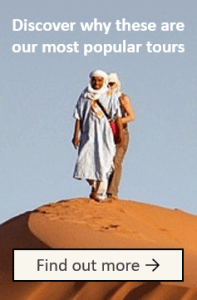 Of course also our camel trip into the desert with our guide Mohar and the delicious chicken and vegetable tangine prepared by the resident Berber with ingredients carried to the oasis in a bag on the side of one of the camels. We spent 14 days with Rostom and got to know him quite well. He was a very safe and efficient driver with a clean comfortable vehicle. He was punctual, introduced us to excellent guides and took us to good eating places. When necessary he always knew where we could find a nice bottle of Moroccan wine to have with dinner. 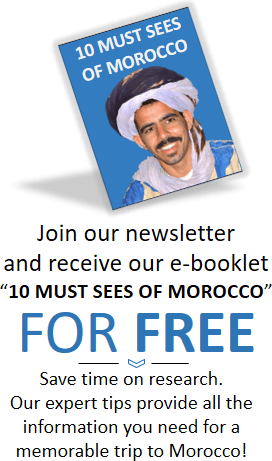 We had no health issues while in Morocco thanks largely to Rostom’s care and guidance. 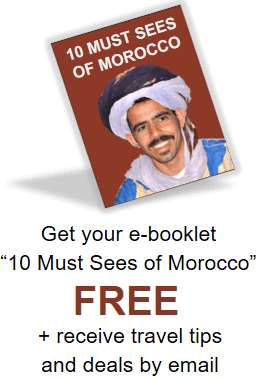 We had many conversations with Rostom regarding Moroccan and Islamic life and culture. In all he became quite a good friend. 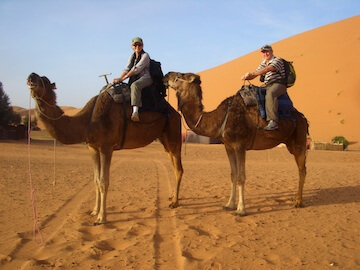 We were introduced to your company by friends who had done a tour in Morocco. Having now enjoyed our own trip we would certainly recommend Experience it to others.